Hail storms cause extensive damage in Canada to homes and automobiles. Canada sees a lot of hail damage every year. 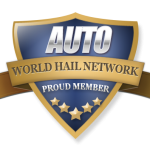 Here on the World Hail Network, people can find repair vendors and valuable information about hail repair. Canada hail repair vendors are listed by region above.